Civility a WE thing. It is more than policies, professionalism and ‘mere promises’. It’s ready to be put into action per workplace core values and personal accountability. Since posting our last two articles (HERE and HERE), the Walk The Ridge movement has received a tremendous number of new joiners. Many of them sharing insightful, positive and sometimes personal comments/emails. We had no idea how many people, including business culture/diversity leaders were engaging with some level of workplace or online incivility. We’ve recently had meetings with team members from several U.S. Congressmen and Congresswomen’s offices. They have expressed interest in improving civility in society; and may lend future public support for the Walk The Ridge mission of making civility more actionable. We’ll keep you updated! Individuals and companies have increasingly flocked to the website. They are joining (for free), downloading and implementing our free tips & guides, as well as buying and sharing the unique ‘reminder bands’. These wearable tools are a powerful and inexpensive way to integrate a more personal ‘anchor of accountability’ for civility – both inside the office and out. Some people may look at this and think it negative…but I don’t see it that way at all. In fact, I took this as a comment stemming likely arising from emotional and presumption. Though I have no way of knowing, the opinion could easily have formed from this individual’s past experience as a recipient of incivility. FIRST – We have a society where incivility in communication has become a common and often-accepted norm. Some boldly employ incivility within the shadows of a fictitious online screen name. Countless millions allow it to seep through their eyes and ears…and burn indelibly into their minds as a punched ticket into their inflexible tribe of opinion. But when WE are the personal recipients of regular or repeated incivility, especially in our workplace, we often avoid the perpetrator as a coping mechanism. While this seems best for the individual, its regularity and cumulative impact is felt within many organizations. I can certainly appreciate that people have jobs (and incomes) to consider when choosing to personally confront this type of challenge. Additionally, organizations are not particularly keen on micromanaging every emotionally-laden disagreement. When someone feels they have to avoid others (and/or taken such action) – this is clearly indicative of a need to improve company culture. Management and leadership is often not aware of incivility, as it is largely under-reported, and does not typically rise to the level of harassment or discrimination. Regularity or growth of incivility in company culture is indicative of either poorly established or communicated core values. Loss of civility within interpersonal engagement often (silently) chips away at engagement, morale, retention, productivity, and results. If not rooted out proactively, rectifying civility may arrive only after a period of longstanding loss and damage has arisen. A positive and productive first step is for companies to seek true feedback – from all facets of the organization. This tactic MUST be endorsed by leadership – and have that endorsement clearly communicated to all levels and employees. A survey works well, so long as it is truly anonymous. Moreover, its questions, choices and scoring must be well-contrived and come from an outside organization to remove confirmation bias. Lastly, the results of the survey must lead to meaningful change – and that change communicated back to the workforce. In this sense, they feel heard, appreciated, and rewarded. SECOND – Civility is a soft-skill. This means that it can be sought out, trained on, improved upon, rewarded…and its lacking of penalized – when needed. Companies today often don’t expect many soft skills to be taught – much less fully learned in younger recent graduates. 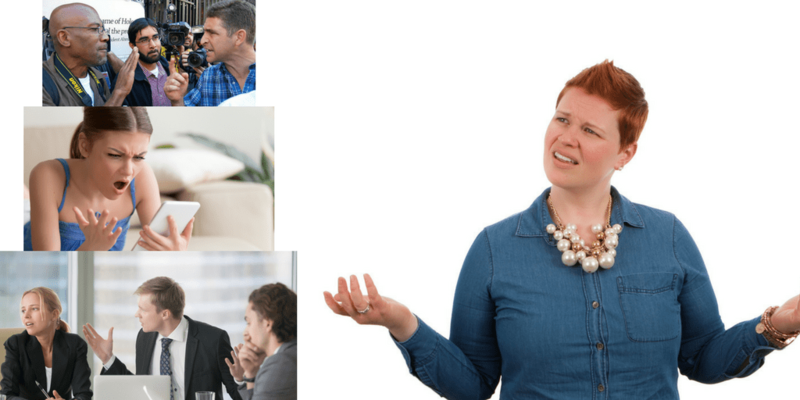 Especially in organizations with employees of several different generations, it may be necessary to train and have a civility improvement program that has some some variation, when needed. Most important – civility must be championed and sustained as an expected habit. One which can be employed not only in the office, but in many other environments for the employee. This is where the company creates not only a positive, healthier culture for engagement – but helps develop more positive communicative habits in individuals. Such benefit can and will result in a positive impact, when engaging with their friends, family, relationships, and communities. THIRD – Civility does not necessarily mean one must change their view or opinion. We should not feel uncomfortable in contributing our feelings, thoughts, creativity, and ideas with others in the workplace. We should also make sure to let others know the same when engaging with us. This with the clear understanding that the communication or engagement must be appropriate in timing, location and situation, respectful toward others, honest, pertinent to subject matter or challenge, be open for challenge or disagreement from others – and leave both or all parties without animus toward the other(s). Our purpose at Walk The Ridge is a belief that people living in modern society have an owed responsibility to engage one another with respect, better listening and decency. It not only helps in all types of engagement with diversity, but in addressing challenges and issues with more open minds to listen and understand. Because interpersonal engagement always takes place between two or more people, it makes civility a WE-thing. It may begin with one person who embodies a greater level of civility in their behavior…but it is more fully-realized, enhanced and ultimately beneficial to a larger degree, when shared in the bi-directional sharing of communication between parties. When people say, “I’m good…I treat people with civility” – then great! But the value of civility is in sharing that trait or practiced habit to help those who knowingly or unknowingly need this gift too. Our mission is for people to make a habit of employing greater civility with others, to a point where they can begin building their own personal ‘Circles of Civility’. It may be five friends, a few co-workers, and even a spouse and relatives. Over time, these circles will overlap with and from others – leading to healthier physical and online communities. Thus allowing society to be truly strong with and through the strength of all levels and types of diversity. Yes…those ARE two different colored faces within the Walk The Ridge logo. They are different colors to represent the diversity in viewpoints and opinions. My wife Nellie (true founder) also created them to face each other… embodying engagement and mutual respect within communication. The words inside the faces are: I SEE YOU, I HEAR YOU, I RESPECT YOU – the mission’s motto; and what those who are ‘Walking The Ridge’ (new verb for practicing greater civility) should be reminding themselves of, when they engage with others carrying different opinions or views. C. Pearson and C. Porath, The Cost of Bad Behavior: How Incivility Is Damaging Your Business and What to Do About It (New York: Portfolio / Penguin Group, 2009); and C. Porath and C. Pearson, “The Price of Incivility,” Harvard Business Review, January–February 2013.